Today’s #OneGoodThing was getting a mani-pedi with Mama! 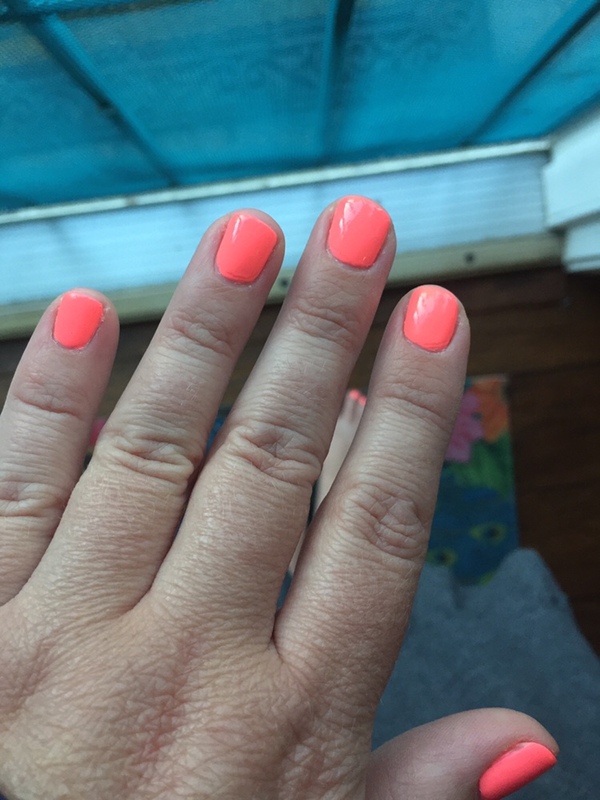 Rather than my usual neutral color, I went with a bright coral. I like how cheery it feels, even though the shock of color keeps surprising me. Day 152 of 365. And Day 883 in a row (here’s the first 366 & the following 365)!